Driving to the west of the island, we make our first stop in the beautiful city of Rethimnon, where we have some time for our coffee of breakfast. Moving on, we drive past the city of Chania and after a while, we arrive at the port of Kissamos, where we set out for our trip. During our boat trip, we have the chance to admire a vast cave – most likely an ancient shipyard, sea turtles or monk seals and of course, the dolphins of the area. We also witness an impressive geological phenomenon: the simultaneous lifting and sinking of the two sides of the island, where its western side rises up to 6-9 meters above the sea level. Disembark at Gramvousa, the Pirates Island. It got its reputation during the Revolution. It was used for 3 years as a base by 3,000 rebels, who had to become pirates, since it was the only way for them to get some food. We are instantly blown away not only by the natural beauty of the place, but also by the dashing Venetian castle. 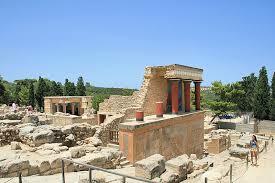 It prevails on the highest spot of the island, at the top of an extremely sheer cliff. The position of the castle is exceptionally strategic, as it protected the whole region of the northeastern Crete, while its size still impresses the visitors. The stunning view from its walls, its grandeur as well as the legend about hidden pirate treasures prompt us to visit it. 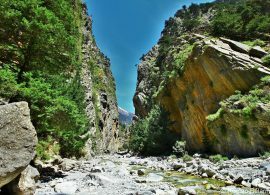 The broader area of Gramvousa forms one of the most significant hydro-biotopes of the Eastern Mediterranean. Here we can encounter over 100 bird species and 400 plant species. After our exploration of the area, we have plenty of time to enjoy our swim at the gorgeous beach with the wonderful colors, take a few shots of the famous shipwreck of the island or have lunch aboard (optional). The Balos Lagoon, one of the loveliest places in Greece. In the early afternoon, view of the lagoon is truly breathtaking. its wild natural beauty that bring us in mind exotic beaches in the Caribbean. • Professional and Multilingual speaking guide. • Transfers with air-conditioned luxurious buses. • Free pick up service from any place between Malia – Agia Pelagia. • Boat ticket to Gamvousa-Balos (16€). • Tips and Individual expenses.